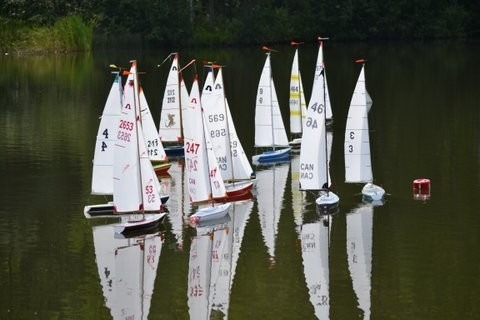 Once again members of the Halifax Area Model Yacht Club will for the core of Team Canada at the CanAm Regatta this weekend in Stowe, Vt. We will be joined by top sailors from Eastern Canada, as Canada will send it’s strongest team ever in hopes of capping our outstanding individual performances with a team win. The emphasis is on the individual sailor; team racing is specifically prohibited. It is anticipated that the top five individual positions for each country, for each race, will determine the CanAm Challenge Cup team winner. This method gives each skipper a chance of scoring for their team in an race throughout the regatta. The number of sailors scored for the team award will be adjusted based on lowest number of entries from one country.